Want it by Monday 29th April? Order within 14 hours, 47 minutes and choose Next Day Signed For (Special Delivery) at checkout. 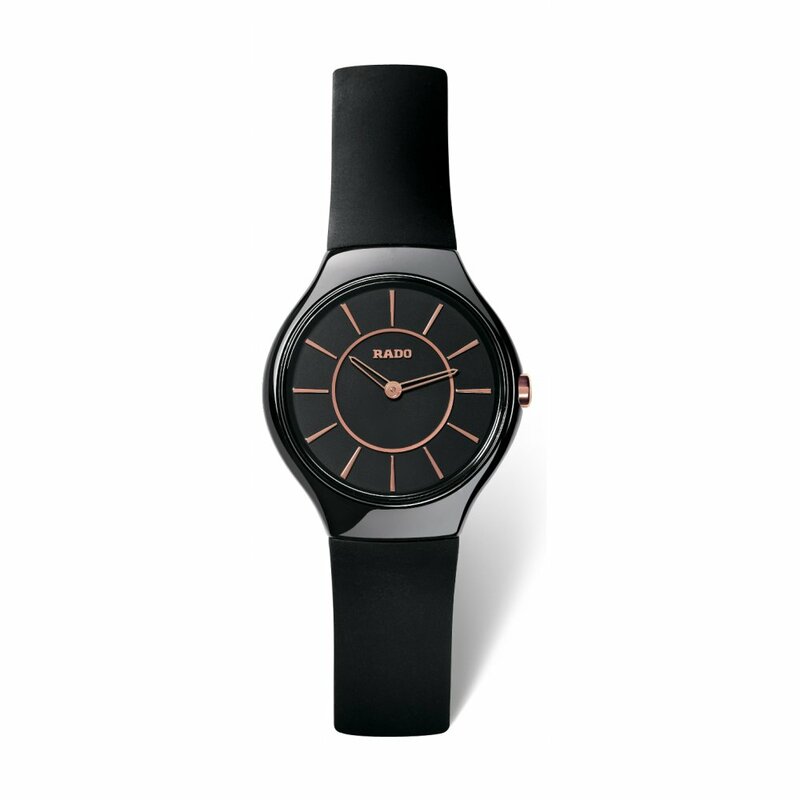 Ladies Rado True Thinline Swiss Quartz watch with a black ceramic case and black rubber strap, black dial with rose gold-coloured batons and comes in official Rado packaging with a 2 year international guarantee.An elegant high-tech masterpiece, the True Thinline is the thinnest ceramic watch Rado do! With its ultra thin and amazingly light design, this collection offer unparalleled comfort as well as resisiting the test of time!